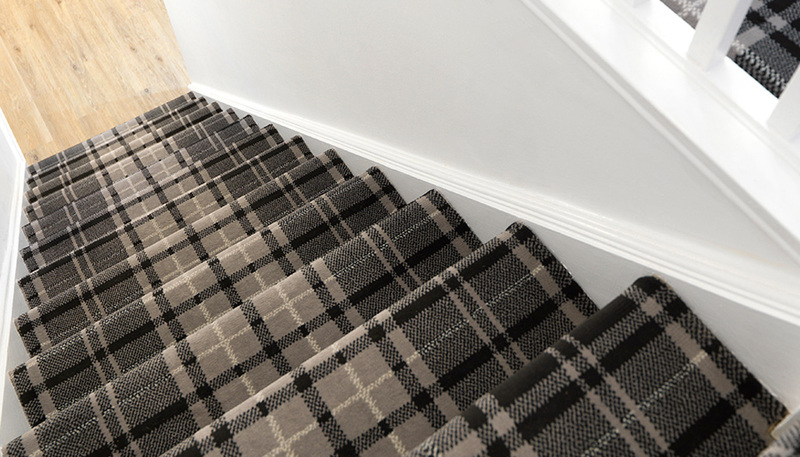 Stair carpet, striped carpet, berber carpet, underlay... there are a lot of factors to consider when deciding which new carpet is best for you. From measuring your room correctly, to finding the right type of carpet for your lifestyle, it doesn’t need to be as difficult as it may seem. This is why our ScS carpet and flooring specialists are with you every step of the way, to help make the process as easy as possible. Our easy-to-use carpet buying guide breaks down the world of carpets into four key steps. It covers the basics, from different types and styles of carpets and carpet underlay, through to what accessories you’ll need. It also explains the delivery process and everything you need to know about getting your new carpet fitted. What type of carpet is for you? Before you think about what pattern or colour of carpet you’d like, one of your first considerations should be what type of carpet is best suited to your home. 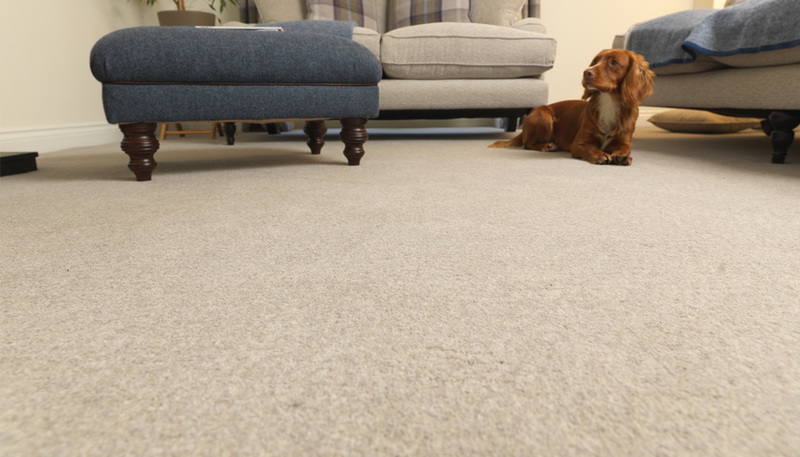 If you have small children or pets, you need to think about the different carpet 'piles' or the way the carpet is constructed, as well as durability and resistance to stains, so that you can find the most suitable option for your household. We don't recommend using regular carpet in your bathroom or kitchen. Instead, our Cosy Bathroom carpet has been specifically designed and manufactured for your bathroom, with an added waterproof gel backing in a choice of 16 shades! Once you’ve decided which type of carpet pile is best suited to your room, now comes the fun part of choosing a colour or pattern. At ScS, we have a wide range of plain and patterned carpets to choose from, both in store and online, as well as famous brands like Wilton carpets and Axminster carpets. So, whether you've already got a style in mind or you’re open to experimenting with something new, we’ve got you covered. You can choose online or instore between plain, textured, striped or patterned carpet. Just as you would do whilst choosing what type of carpet is the most suitable, you should consider your choice of room when thinking about what colour or pattern you’d like. To let you get a look and feel for your choice of carpet before you buy, we offer free samples for many of our ranges online. Just select the 'Request this Sample' option next to the carpet of your choice, complete your details and we’ll send a sample direct to your door. Alternatively, you can visit your local ScS store to view our full range of samples in store. Measuring your room ready for your new carpet might seem like the most difficult part of the process, but it's actually quite simple. The golden rule is to measure the length and width of your room in metres, then add 10cm to both of these measurements to allow for cutting around doorways and any other fixtures and fittings. You can find a full guide on how to measure a carpet in our guide. If you don't feel confident taking measurements yourself, call our dedicated carpet & flooring team on 0800 731 0048 for more advice, or go into your local ScS store for a free expert measurement consultation with our carpet & flooring specialists. Not to be overlooked, underlay is a hugely important addition to your purchase, providing you with extra comfort and insulation as well as helping to limit wear and tear on your carpet. Now that you’ve chosen your carpet and underlay, you can turn your thoughts to accessories for that finishing touch. Gripper rods work to hold your carpet in place and must be used all around the room, except in doorways. If in doubt, call our dedicated carpet and flooring team on 0800 731 0048 and one of our specialists will be happy to discuss how much gripper rod will be needed for your room. Door trims are used to separate and hold your carpet in place, as well as finishing off the edge of your carpet within a doorway. Available in aluminium or brass and two different widths, our team can help you choose your best option, from cover strips, single edge, double edge or Z edge trims. To keep your purchase looking brand new, the last step is carpet care. 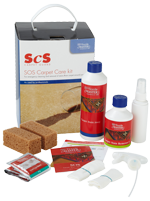 Our SOS carpet Care Kit is your best friend in times of carpet need! A 3 in 1 professional cleaning kit for stains and carpets of all types, and easy to follow instructions in one handy box, for just £30. How can I pay for my new carpet? At ScS, we accept all major credit and debit cards in-store and online, including Visa, Mastercard, Maestro and American Express, as well as PayPal. In-store, you can also pay with cash. Alternatively, take advantage of our 4 years' free credit offer, 0% APR representative offer, available on all sofa and flooring purchases over £250. Choose the 'Pay Monthly' option at the basket and one of our personal shopping advisors will then call you to walk you through the credit application and process your order. When will my carpet be delivered and how much will it cost? As each order is tailor-made to your requirements, we’ll let you know when you should expect to receive your new carpet at the point of purchase. You can find out more information here. There is a £29 delivery cost for carpets, but this may increase if you live outside of a 30-mile radius of your nearest ScS store or within the London Congestion Charge Zone. Read more about delivery charges here. Who will fit my new carpet? The fitting of your new carpet is not included in the carpet delivery cost, and we do not fit flooring ourselves. However, we can arrange for an independent fitter to fit your carpet for you. If you’re buying online call our dedicated carpet & flooring team on 0800 731 0048 after you’ve placed your order, and they’ll be able to help you arrange your fitting. You can find out more about our carpet fitting charges here. How long is my carpet guaranteed for? At ScS, we offer a 12-month guarantee on any parts and labour should anything go wrong when fitting your new carpet, but many of our carpets carry wear and stain guarantees of up to 20 years. Further information on guarantees can be found in the product information when you view any of our carpets online. How can I care for my new carpet? New carpets can shed fibres and flatten after fitting, but with regular vacuuming to remove excess yarn and help to lift carpet fibres back up, your carpet will stay fresh and fluffy for longer. For more advice and tips to care for your carpet, please read our carpet care guide.